•Melt butter slowly, do not let it become too hot. • In a bowl, whisk together the sugar, flour and salt; when combined, mix in the melted butter and orange juice. 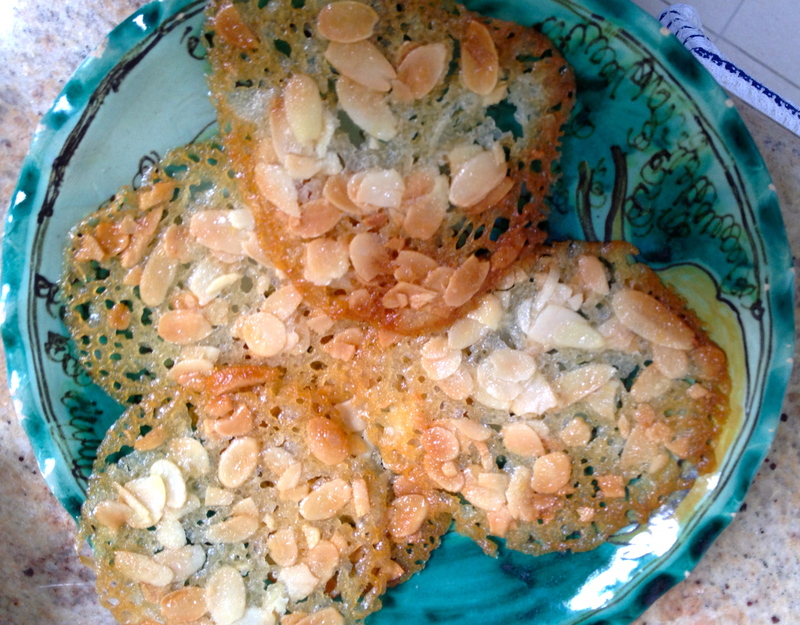 • Using a plastic spatula fold in almonds, being careful not to break them. Leave in bowl and let cool over a second bowl of ice for 10 minutes. • Let stand for 1 hour in the refrigerator until the mixture begins to thicken. • Using a spoon, form five or six small mounds of batter on the baking sheet, spacing them evenly, as they will spread. Flatten each mound with the back of a wet spoon. • Place the tuiles in the preheated oven and watch them while they cook, making sure they do not burn, 5-6 minutes. • Remove baking sheet from oven and let cool for 1 or 2 minutes (important). 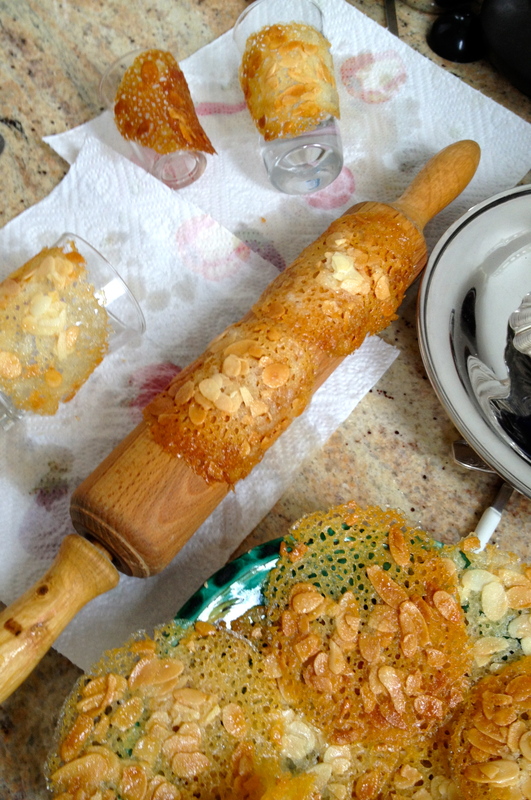 • Carefully peel off the tuiles and cool them for a few minutes on paper towels or shape them on a narrow glass or rolling pin until hardened. Serve immediately or store in a tin to keep them crisp and fresh.